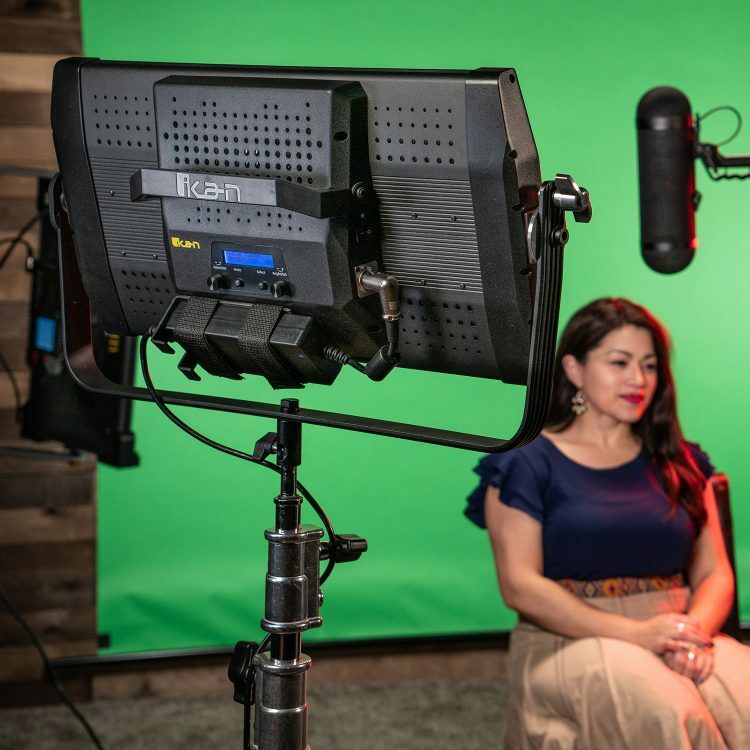 The Blackmagic Pocket Cinema Camera 4K is an incredibly powerful camera and given its price, it is a fantastic option for any video shooter. Sadly, no camera is perfect so let’s find out a few of the difficulties you may encounter and how to fix them. 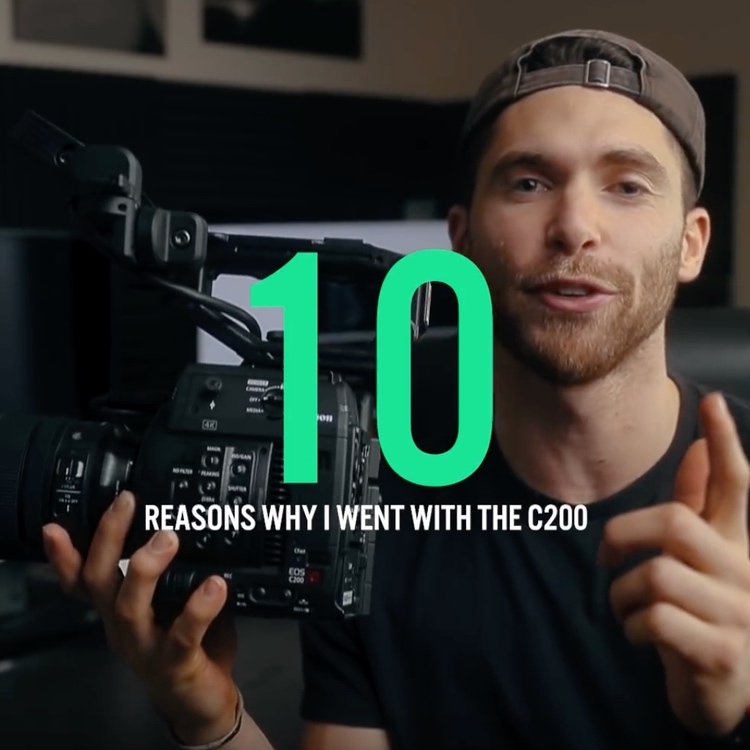 In this video, seasoned filmmaker Tom Antos gives some interesting examples of issues he has either found or had reported to him about the BMPCC 4K and his solutions. This one has been widely reported and really is a significant problem with the camera. It uses Canon LPE6 batteries and with the camera operating in typical settings they may only last around 35-40 minutes. It’s easy to imagine how this could be a problem for a full day of shooting, long interviews, travel filming etc. Tom’s solution is simple – buy loads of batteries. Your bag or pockets being full of batteries is not ideal but it is the easiest choice; it keeps the camera light and they are quick to swap out. Tom recommends buying non-Canon brand batteries that are cheaper but do the same job. 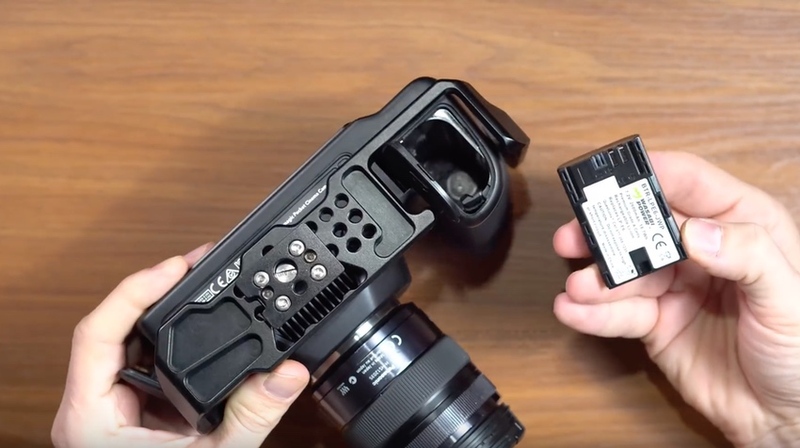 Mounting external batteries on a cage, as shown in the video, is also an option but it does add significant weight and size to the camera and for me, that is defeating the purpose of having a camera in this form factor. The screen on the BMPCC 4K is lovely, it’s sharp, bright and has good contrast but it is fixed in place and offers no articulation. It doesn’t tilt, pivot or flip-out and this can be frustrating if you find yourself having to lie facedown on the ground, or straining on tiptoes to see the screen. It also means the camera isn’t much use for vlogging. The answer is to use an external monitor and Tom offers a couple of nice suggestions. This will add to the weight of your camera, gives you another battery life to consider when shooting and makes the whole system bigger and less easy to hold. It does give you a larger screen and the ability to move and angle it as you please, so this seems like a great addition to the camera. The BMPCC 4K has no IBIS: in body image stabilization. 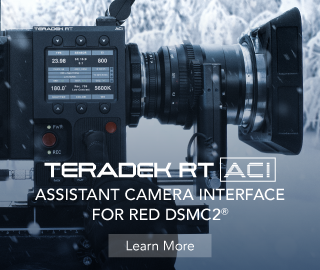 A few years ago this would never have been thought of as standard but with so many cameras now offering IBIS and the benefits being so clear, it is a shame it isn’t in the BMPCC 4K but a camera at this price and size just can’t have everything. Tom suggests three ways to address this issue. 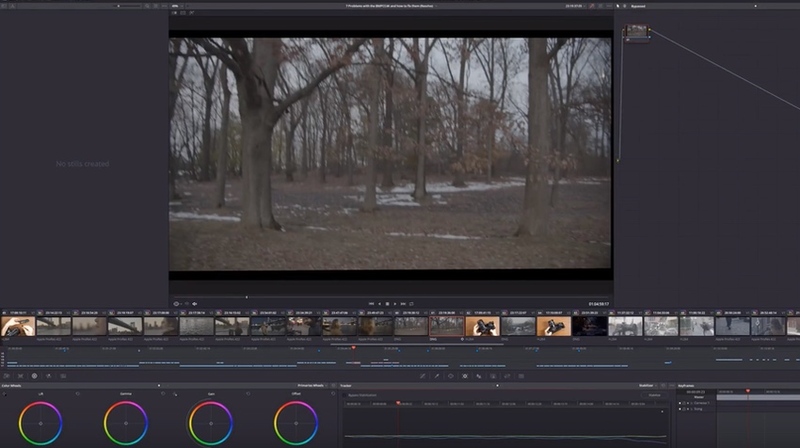 Firstly, use software to stabilize your images in post; Tom recommends Da Vinci Resolve as it is free but other NLE’s will do the same job. This is a good option to have but it has drawbacks. You will lose quality in your footage as stabilization requires zooming. It’s also a workaround, a fix. It’s hard to plan shots to include software stabilization and sometimes the software doesn’t get it quite right. 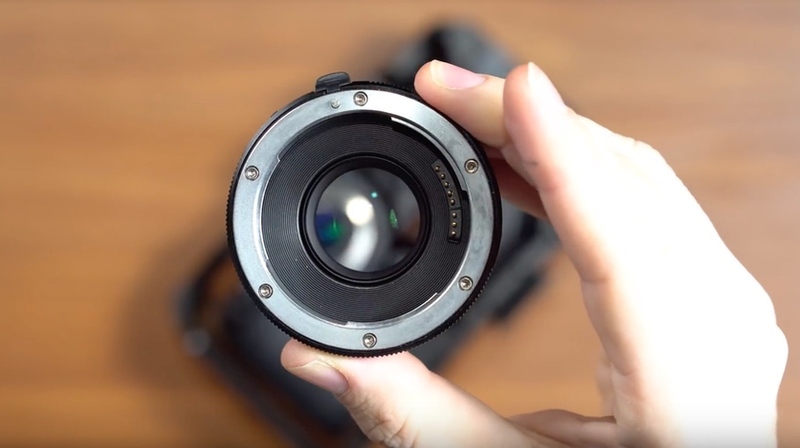 Using lenses with built-in image stabilization can really improve your shots and are an excellent idea for this camera, but those lenses will likely be more expensive. 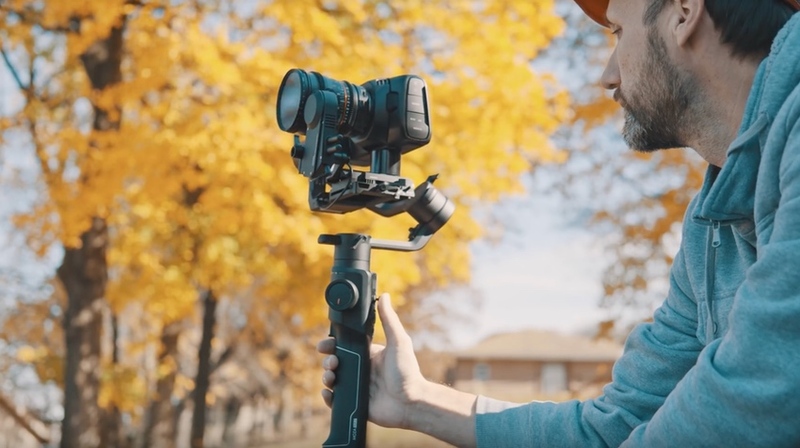 The best option is to use a gimbal like the Moza 2 or the DJI Ronin-S. These can help you produce cinematic shots with beautiful, smooth camera movement and as such, they have become incredibly popular. Be aware that they can be challenging to hold for a long period of time, they are heavy and can be quite awkward. There are also more batteries to remember, carry and charge and overall it will add to your set-up time. 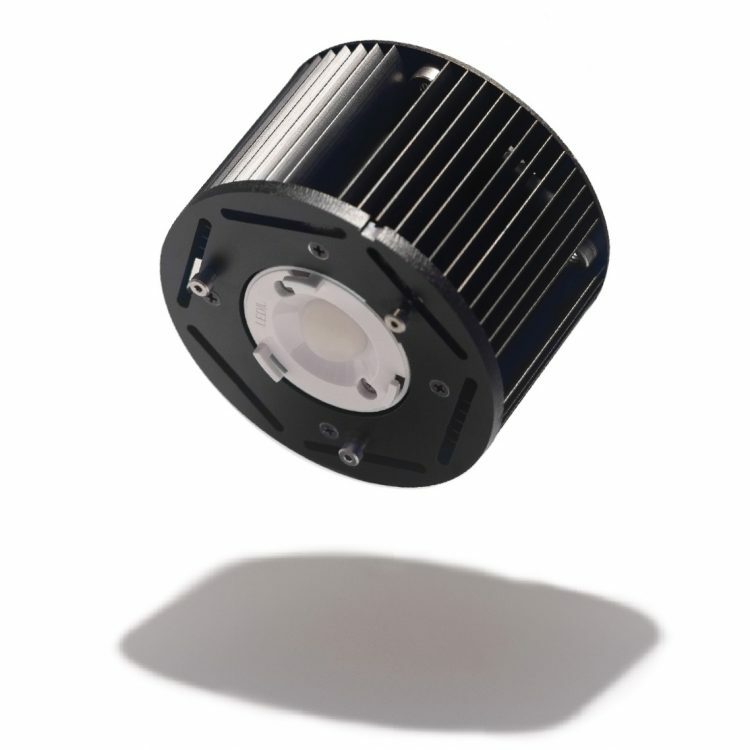 This has been a hot topic for years and as the industry generally moves towards larger and larger sensors it will remain so. The crop factor of the camera sensor will affect the field of view of your shots, in this case making it harder to get a wide angle. Conversely, though it will help you get a longer zoom, so there are pros and cons. The crop factor of the sensor should also be applied to the f-stop of the lens, something manufacturers can be unclear about in the marketing. This means achieving a shallow depth of field is a little more difficult. A Metabones Speedbooster adapter has become the accessory of choice for tackling both of these perceived issues. It will increase the field of view, boost the f-stop thereby offering better low light performance, and allow you to mount different lenses. These adapters are excellent but expensive. The last three issues Tom only mentions briefly. Some people have reported the battery compartment door can be loose and falls open. I didn’t notice this on the BMPCC 4K I tried but it would be annoying. Tom links to a video that suggests a fix. If you are using an external SSD with the BMPCC 4K it will occasionally fail to be recognized by the camera. There is a simple fix to this and again Tom links to a video. 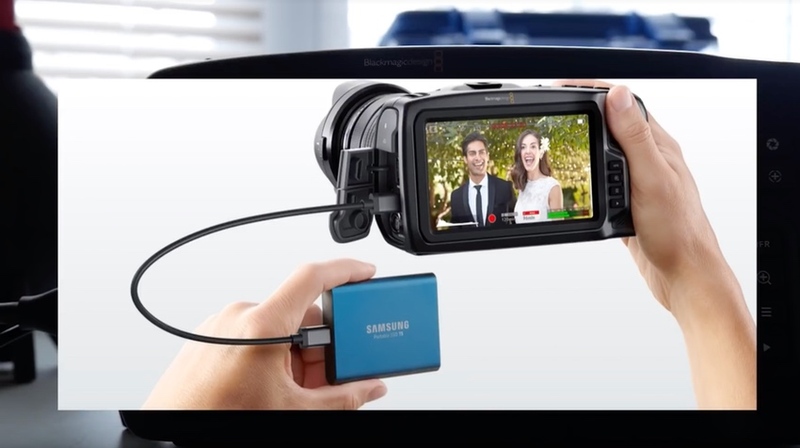 The bigger problem for me is the danger of the SSD accidentally unplugging during filming as it can damage your files to remove an SSD while in use. SSDs are a good option but care must be taken when using them. Finally, anyone who complains that the BMPCC 4K doesn’t shoot good photos is really missing the point of this camera. It is optimized for video shooting and that is that. There are plenty of other options if you want to take stills. There are other things to consider with the BMPCC 4K – touchscreens get messy, it certainly doesn’t fit in any of my pockets, file sizes of RAW etc. – but it is hard to argue with the amazing set of features at this price. Leaving me with my only real gripe – why such a long name for such a little camera?